Cool! 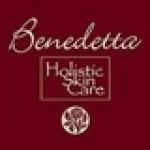 Save an average of 20% on Benedetta with 18 Coupon Codes, and 1 Deals! Details: $100 OFF orders of $500 or more. Expires on 01/15/2014. Details: $60 OFF orders of $300 or more. Expires on 01/15/2014. Details: $20 OFF orders of $100+. Expires 12/31/10. Details: 25% OFF Ylang Ylang products: Ylang Crystal Radiance Elixir, Ylang Visibly Radiant Moisturizer, Ylang On The Go Oilier Skin kit. Good while supplies last. Details: FREE Acqua di Rosa Hydrosol w/order of $60+. While supplies last. Exact expiration unknown. Details: 20% OFF Artemesia Hydrating Elixir, 100 and 30 ml. Expires 4/12/12. Details: Get 20% OFF Skin Care items! Expires on 11/30/2013. Details: $80 OFF orders of $400 or more. Expires on 01/15/2014. Details: FREE GROUND SHIPPING! Expires on 12/22/2013. Details: 20% OFF Cleanser Buddies! Expires 7/10/12. Details: $40 OFF orders of $200 or more. Expires on 01/15/2014. Details: Get 15% on all large lotions, and get free shipping on orders over $75. Details: 20% OFF Full-Size Deodorant + FREE SHIPPING! Details: 15% OFF Back to School Picks. Expires on 09/30/2013. Details: $20 OFF orders of $100! Expires on 01/15/2014. Details: 15% OFF Body Care & Select Facial Care products. Expires 2/15/11. Details: When you write a review or testimonial, you can get 20% off your next online purchase. Good til 10/31/10. Please make your original, candid review at least 30 words, and name at least one Benedetta product.